We offer a cost effective, customer focused parking control and management service, always working closely with our clients exact requirements. Whether it’s a large pay and display car parks or individual permit parking, we are here to help. All our officers work from liveried vehicles and are uniformed with identification badges and issue Parking Charge Notices using up to date parking enforcement technology. This means each Notice issued will be available with photographic evidence within seconds of issue. We are an Independent Parking Committee approved operator and adhere to their strict code of conduct in all our operations. 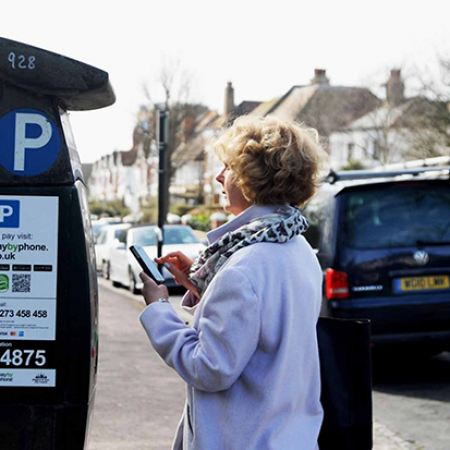 Whether your requirements are for 1 space or 1000, a member of our team will be more than happy to arrange a free of charge site visit to discuss how we can offer a bespoke solution to your parking requirements. Armtrac Security Services Ltd at all times endeavor to follow and abide by the Site rules set out by individual landowners. Elimination of unauthorized parking on roads and car parks.